This might sound a little crazy, but for my niece's thirteenth birthday I bought her a blog! We had chatted about it a long time ago, and I thought it was such a fun idea. She has so much personality and I know how much fun she could have with it. Blogging has blessed me in so many ways, so my hope is that it will do the same for her. Maybe it will give her a platform to talk about things that are important to her or share photos she's passionate about. She loves music so maybe it's a place for her to share videos or songs she writes. Let me first say that I did ask my sister's permission before I set this up. Here are the 5 simple steps I took in setting it up! I kept it simple and used her name, Emalee Jean. I thought Ema Jean would be cute, so I researched Go Daddy and found that www.emajean.com was taken, but www.emajean.net was available! It cost me $10 to buy this domain for a year. She can always buy a different domain if she doesn't like it. You could always ask the person you are purchasing it for "If you could start a blog, what would you name it?" I decided to host the blog through Blogger since that's the platform I'm most familiar with and it's free. Another popular option would be Wordpress or Squarespace. I also had to create an email for my niece. I'm not a graphic designer by any means so I bought a basic template on Etsy for $15. It's colorful and perfect for a young girl. This is the only technical thing I really had to do, which was to map the domain name, www.emajean.net, to blogger so that it wasn't www.emajean.blogspot.com. A few YouTube tutorials and I figured it out! The funnest part was writing the first blog post for my niece announcing her present! I made sure to tell her that I would help her figure it out, and to use the blog however she wanted. My main goal was to give her a platform to start. Who knows if she'll actually use it. It's up to her. Maybe in a few years she'll decide to, and maybe she'll change the name. I think it is simply a fun gift to give a teenager, especially one that lives in a small town and might need a creative outlet. I know I sure did in college, which is why I started blogging in the first place! 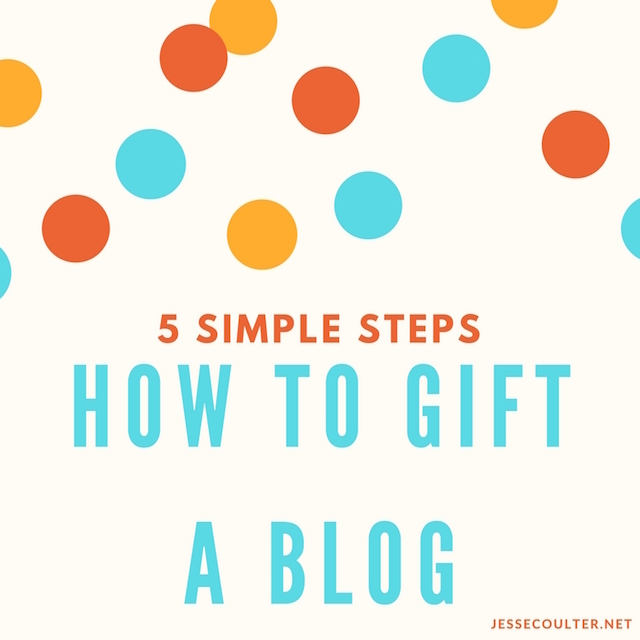 Would you ever gift someone a blog?! It's obviously very personal, but there are many people out there who want to start a personal blog but are afraid to. Maybe you could help jump start it for them!? what a cool idea! she needs to do style posts for sure. 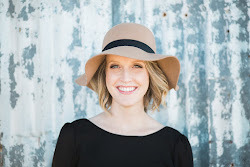 love her outfit in the second photo on your guest post on her site!